Alison Calder was born in London, England, and raised in Saskatoon, Saskatchewan. Her poetry has been published in journals and anthologies, including Breathing Fire: Canada's New Poets and Exposed, and has twice circulated on Winnipeg city buses. She is the editor of Desire Never Leaves: The Poetry of Tim Lilburn, and a critical edition of Frederick Philip Grove's 1924 novel Settlers of the Marsh, and the co-editor of History, Literature, and the Writing of the Canadian Prairies. Calder’s first collection, Wolf Tree, won two Manitoba Book Awards and was a finalist for both the Gerald Lampert Award and the Pat Lowther Award for Canadian poetry. English prof Alison Calder’s poetry is known for shining the light of the poet’s curiosity on all manner of “natural occurrences,” which nevertheless stand out. 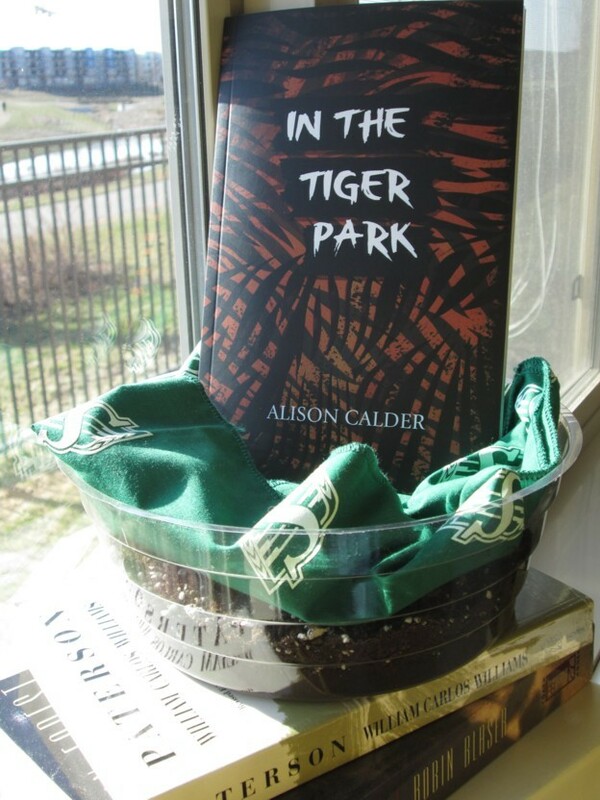 Her new book of poetry, In the Tiger Park, is about what exists at the edges of human experience, what’s out there but is largely unseen by the average human. It’s about ghosts, how these things operate as ghosts to us now, in this age — things that might have, in another age, occupied a more central place in our lives. That, and she met my stringent criteria of having written three poems in her book about the CFL. in the beat-box strobe of split second strikes.